We’ll admit it: it was the dessert case that drew us into Café Zabaglione. 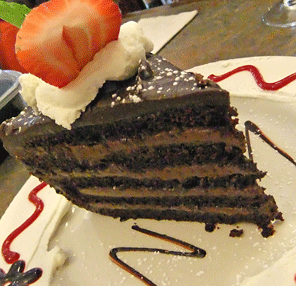 It holds a huge variety of Italian and American desserts, including some luscious looking cakes. Often, authentic Italian pastries are an indicator of high-quality, European-style food, and that is definitely the case here. We thoroughly enjoyed our leisurely lunch last weekend, which included genuinely warm service and great tasting sandwiches. The vegetarian in our group enjoyed the Italian, which consisted of fresh mozzarella cheese and marinated vegetables on focaccia ($8.50). The ham and cheese croissant with a side salad ($6.50) was also very well received. 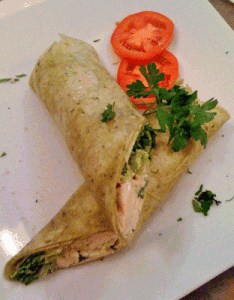 The large chicken caesar wrap was filled with tender breast meat and crisp lettuce, fresh and delicious ($8.95). 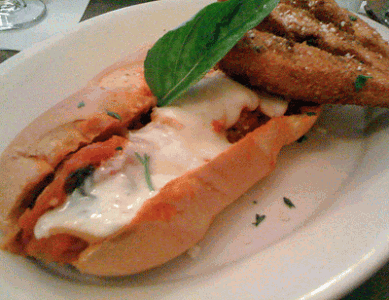 The meatball panini was enough for two (maybe three)—hand-made meatballs with great texture, chunky sauce, and fresh bread, with delicately breaded eggplant on the side ($8.95). The escarole soup was filled with vegetables, pasta, and flavorful meatballs and accompanied by a huge slice of fresh bread ($4.95). The café is an offshoot of the well-respected Zabaglione Restaurant around the corner on Central Street, and it clearly benefits from the same attention to detail. 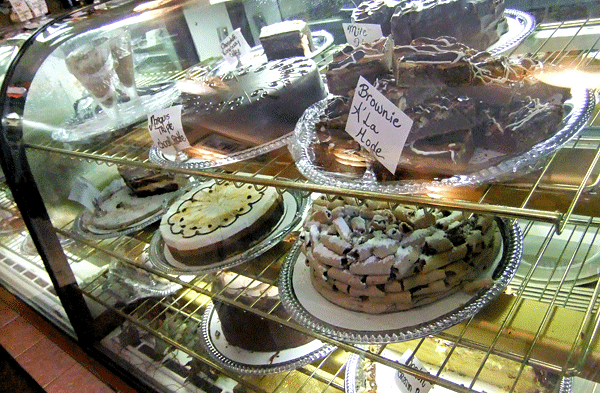 It was fun to peruse the many cakes, pies, and other pastries in the case, and we finally settled on the mile high chocolate cake and the chocolate mousse torte ($7.95 each). The mousse was rich but not heavy, and it was surrounded by melt-in-your-mouth chocolate meringue. Still, it was upstaged by the cake, which had five layers of moist cake, intense chocolate filling, and even richer frosting. The price for a slice may seem high, but that’s only until you see it. This is clearly a two-dessert portion, and the quality is top-notch.